The Osteoporosis Program was recently profiled in the UHN Arthritis Program Clinical and Research Report. The report highlights our fracture care and prevention study, The Bridge Study, and shows how our outreach through social media is helping to raise awareness of osteoporosis. Click on the image below to read the full report. Canada’s 2019 Food Guide: What does it mean for your bones? Yoga – Good or Bad for Osteoporosis? What is Trabecular Bone Score (TBS)? Our Research – Does vitamin E help bone health? 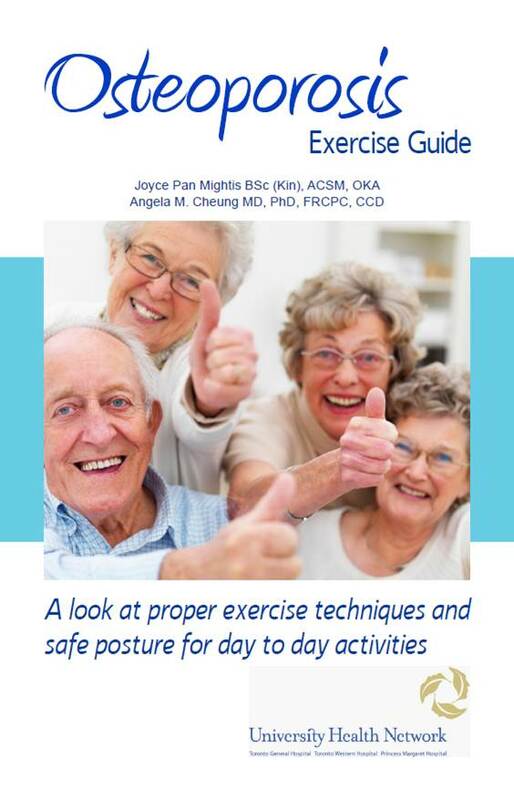 A unique exercise book designed to improve your bone health. Suitable for all adults, including those who have osteoporosis.